Juvenile arthritis is an inflammation of the joints that is characterized by swelling, heat, and pain. 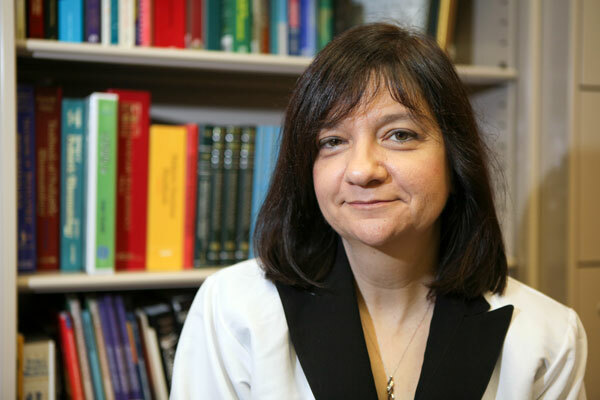 After 20 years in the field, pediatric rheumatologist Mary Toth has witnessed major developments in the treatment of juvenile arthritis. While we typically associate arthritis with older adults, about 300,000 children in the U.S. have juvenile arthritis. In fact, it’s the most common cause of joint inflammation in children. Dr. Toth recently answered questions about this topic on 1480 WHBC during “Health Matters with the Medicine Center Pharmacy,” hosted by pharmacists Paul White and Brad White. She detailed everything you would want to know about the condition. Q. What are the symptoms of juvenile arthritis? A. Progressive or persistent joint pain and stiffness – especially in the morning, unexplained fever, and difficulty walking and getting up stairs. It’s important to note that most kids don’t complain about pain and they are good at compensating for joint pain. They just may be unusually whiney or don’t want to participate in activities. Q. What causes juvenile arthritis? A. In children, it is due to an autoimmune disease where the immune system attacks the joints. 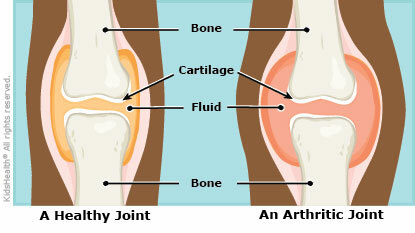 This is different from the type generally seen in adults, osteoarthritis, resulting from wear and tear on the joints. Q. What’s the youngest age juvenile arthritis occurs? A. The youngest patient I’ve treated was 9 months old but the average age of diagnosis is 1 to 3 years of age. Juvenile arthritis is defined as occurring by age 16 but it can be picked up later. Q. How is juvenile arthritis diagnosed? A. Usually kids present with swelling in the joints or trauma caused by falls. X-rays don’t usually show changes early on in the disease because joint damage hasn’t occurred. We start with a thorough family and medical history and physical exam. Blood work and x-ray are used for confirmation and to predict the prognosis. Our goal is to pick it up before joint damage occurs (about a year of onset with no treatment). Q. What are the types of juvenile arthritis? Q. Are certain children more at risk for juvenile arthritis? A. Kids with a strong family history of autoimmune disease such as diabetes or thyroid disease may be at a slightly higher risk. It is not so much passed down in families but more like a predisposition with a triggering event like fever or trauma. Q. What are the current treatments for juvenile arthritis? A. When the diagnosis is confirmed, we start with anti-inflammatory drugs especially with kids who have oliogoarthritis. If those aren’t successful, we prescribe stronger drugs like Methotrexate, which is used to inhibit the immune system. Steroids such as Prednisone are often used as a “gap” medicine to control inflammation while the other medications take time to work. Q. How effective are the current treatments? A. 50% of kids with juvenile arthritis go into remission. We generally take them off their meds if they show no flare ups of inflammation or pain for 2 years. Kids with oliogoarthritis tend to respond better than the other types. Years ago we didn’t have some of these drugs and some kids ended up in wheelchairs. Now that’s a rarity. Q. Can juvenile arthritis be treated by the child’s pediatrician? A. Once the diagnosis is confirmed and anti-inflammatory drugs are working, then yes, the condition can be managed by the community pediatrician. If the child is on stronger medications, which may affect the immune system, then we manage them more closely. It’s really a team effort between our rheumatology center and the child’s pediatrician. Q. Who else is on the juvenile arthritis care team? A. At Akron Children’s we have 2 rheumatologists, nursing staff, physical and occupational therapists, a social worker, pharmacists and pediatric ophthalmologists. The therapists help with gait, pain and swelling issues and school functions such as writing skills. The ophthalmologist is especially important because some children with juvenile arthritis have inflammation of the eye and can lose their sight if untreated. Q. What are the hardest things about being a child with juvenile arthritis? A. Some kids say it’s the shots. Others report they are slower than their peers and because of that, some kids aren’t nice. Q. Are some sports and activities off limits for patients with juvenile arthritis? A. We don’t restrict activities if swelling is down. When they have swelling, things like running and hard-impact sports are restricted but it really depends on the individual. The better sports for joints are swimming, bicycling, and with teens, the elliptical machines. Q. Is Akron Children’s involved in clinical trials for juvenile arthritis? A. Yes, researchers at our Rebecca D. Considine Research Institute are working on all kinds of clinical trials. We’re starting one in February for a new medicine that would be oral instead of shots for kids with juvenile arthritis. Q. Is there a cure out there for juvenile arthritis? A. Yes, maybe in the future like some cancers. But now we talk about remission with medication. The younger the kid with 4 or fewer affected joints, the more likely it may go away as they get older. Should you give your infant water on these hot, humid days?